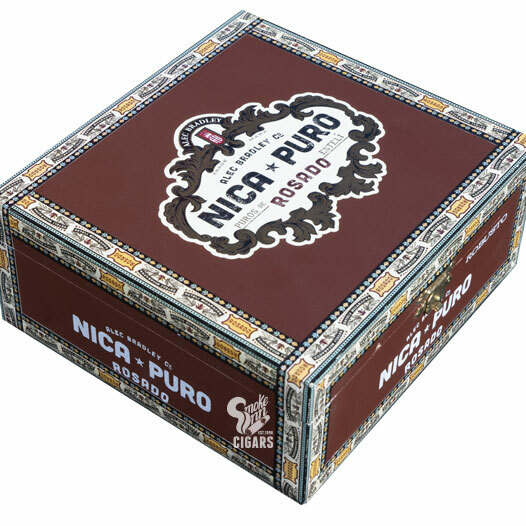 Alec Bradley Nica Puro Rosado was released in 2015 as a followup to the company's popular Nica Puro lineup. Like the original, the Rosado features 100% Nicaraguan leaf, only the blend has been altered to focus on more diverse growing regions of Nicaragua, as well as the cigar's namesake Colorado Rosado-shade wrapper. Puro cigars are often lauded for their unique ability to showcase a country’s true growing potential in its most “pure” form—it’s a technique all Cuban cigars share as well, thus offering a more classical approach to cigar blending. With Nica Puro Rosado, Alec Bradley has selected a vibrant, golden, Colorado Rosado Habano wrapper and draped it over a unique double binder, as well as long-filler tobaccos from Nicaragua’s three main growing regions—Jalapa, Estelí, and Condega. Experience the spicy and fiery characteristics of Nicaraguan tobaccos through this exciting offering from Alec Bradley!